My Grapefruits I picked some months ago have been stored in an outside fridge. Unfortunately the thermostat on this little fridge is sometimes unpredictable from being too cold (not always a problem) to not being cold enough. 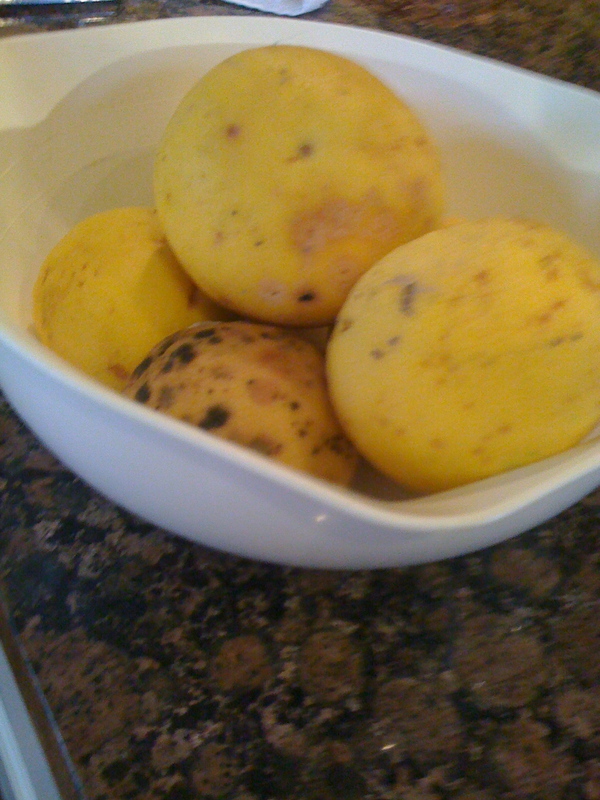 My poor beautiful grapefruits suffered both these conditions and so when I remembered that I still had some grapefruits left ( salvaged from being possum food) they were in a sorry state. The man said "throw them out" ......his answer to most things - probably lucky I have survived this long! I hesitated - I wanted to give them a second chance - "they might still be OK inside" I said. He rolled his eyes, sighed and walked away. 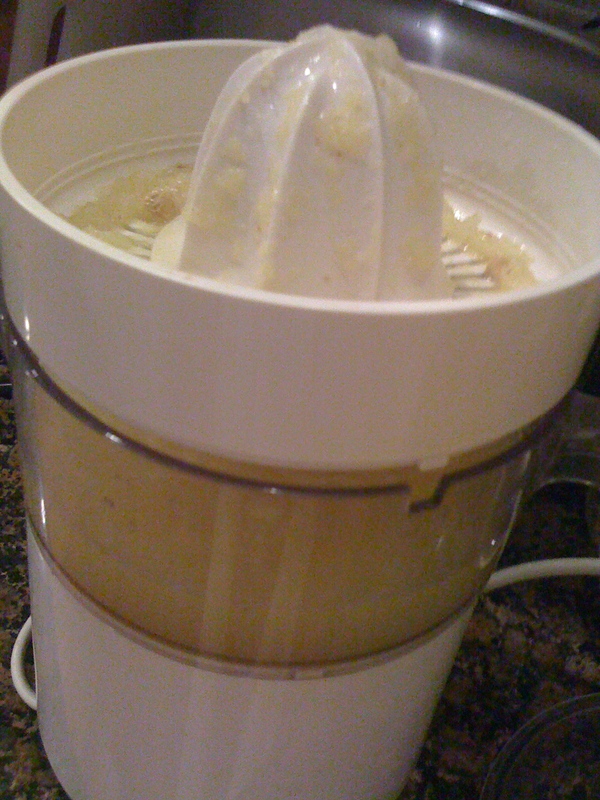 Inside they were still edible - albeit not pretty on the outside - so I decided to juice them. 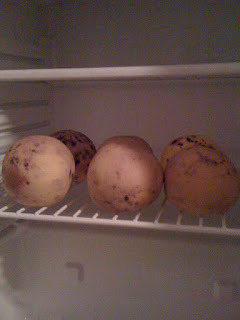 I left them out over night at room temperature so I could extract as much juice as possible. 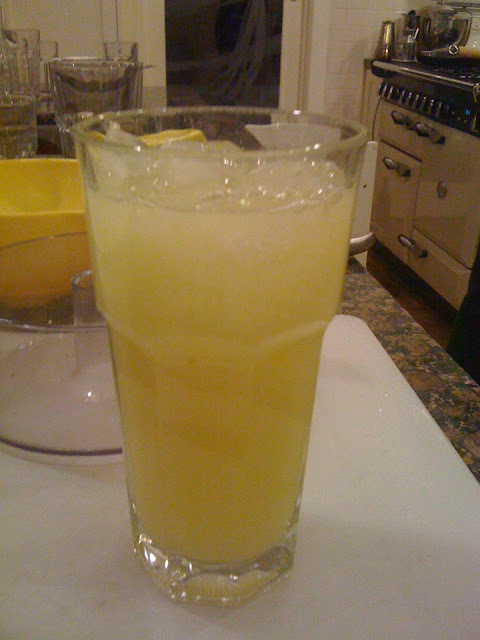 Six made a nice glass full - I feel so much better now. Nothing wasted! Next year I might watch them a little more carefully in storage. 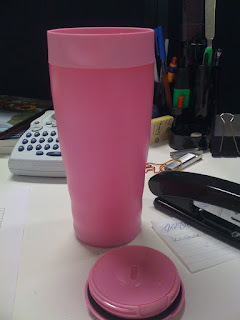 I took the juice to have at work in my great new tupperware mug - not a drop was spilled in this airtight cup. My vitamin C for the day. 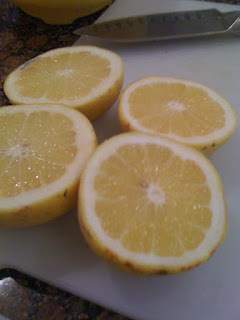 I love grapefruit juice, but since we don't have any grapefruits growing I have to buy them. The price has been so high lately that they have stayed at the market. You are so blessed to have a tree of your own! I' find grapefruit to strong for my palette, but my husband loves it and would have enjoyed some of your fresh grapefruit juice. Great to see the fruit wasn't wasted. Following this I was about to throw out a couple of lemons that had lingered too long in the fridge - they really looked manky - but I cut them open and they were perfectly good inside. I've never been keen on grapefruit juice but homemade is probably quite different and of course you can add as much sugar as you like!! Rather like your pink cup too!